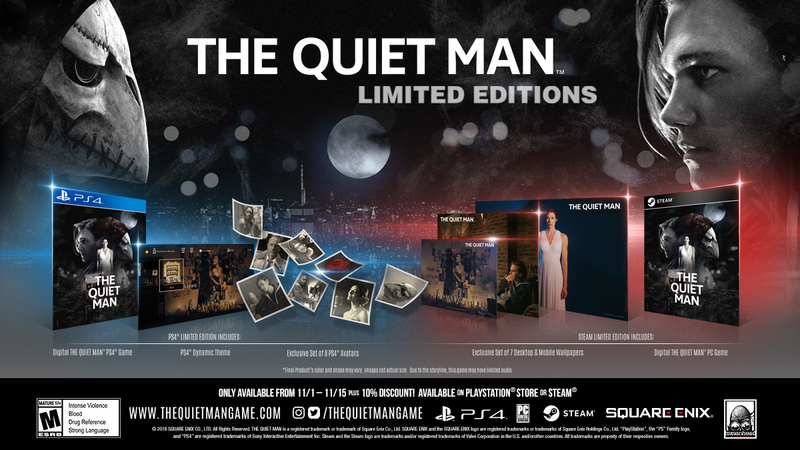 Square Enix today announced that The Quiet Man is releasing digitally for the PlayStation 4 computer entertainment system and Steam on November 1 for $14.99. 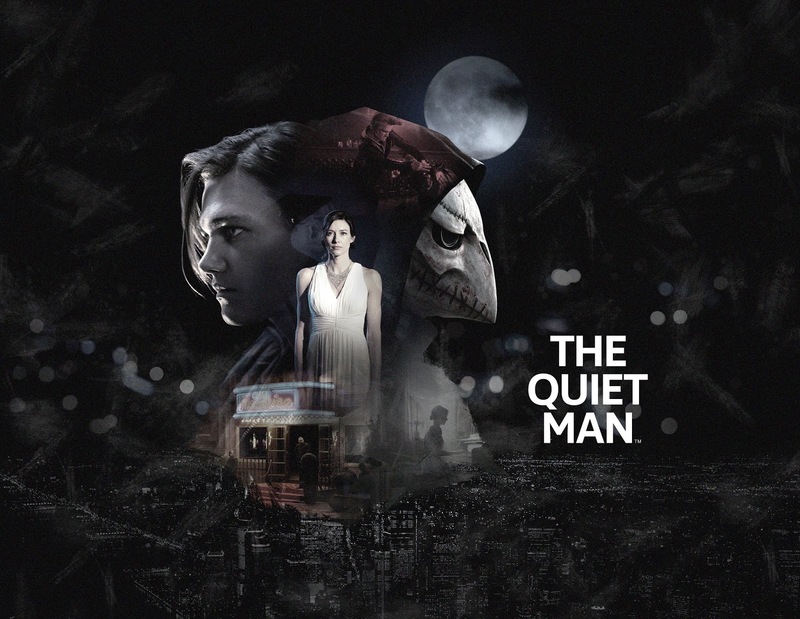 The Quiet Man takes players beyond sound to deliver an immersive story-driven cinematic action experience, which can be completed in one sitting. In a story that unravels across a single night, players take the role of deaf protagonist Dane as he fights his way to discover the motives behind the kidnapping of songstress Lala by a mysterious masked man. From November 1 to 15, those who purchase from the PlayStation Store will receive the base game, a PlayStation 4 system dynamic theme, and a set of eight PlayStation™Network avatars. During the same period, those who purchase from STEAM will receive the base game, as well as a set of seven desktop and mobile wallpapers. In addition, those who purchase within this period on either platform will receive a 10% discount. For more information visit TheQuietManGame.com.